February 17, 2016 (CHICAGO) -- Q-BBQ will be at Willis Tower bringing big time BBQ to a big time location. Chicago’s fastest growing award-winning barbecue restaurant will host a five day pop-up restaurant in the Loop’s most iconic building from February 22nd through the 26th. This comes on the heels of opening Q-BBQ’s 4th store in Schererville, IN just two months ago, and just as Q gets ready to open their highly anticipated 5th store two weeks later in downtown Oak Park. But for one week only, restaurateur Michael “Papa Q” LaPidus will bring a select menu featuring regionally inspired barbeque to downtown Chicago in a pop-up concept at Willis Tower. This will be the first pop up restaurant hosted at Willis Tower. “When we came up with this idea, we wanted a location that was big and bold just like our BBQ. So it had to be Willis Tower. This building represents the spirit of Chicago: make no small plans. That’s our motto too,” said Michael LaPidus, founder and owner of Chicago’s fastest growing fast-casual restaurant concept. When: Limited-Time FIVE Days Only! Why: Because lunch should make your mouth happy. 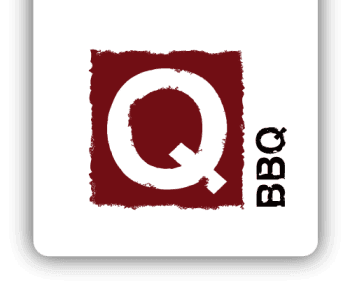 Q-BBQ is a fast-casual Michelin Guide Bib Gourmand-winning restaurant (2012, 2013) that specializes in authentic barbeque, featuring smoked Texas brisket, Carolina pulled pork, Memphis dry rub chicken wings and signature homemade sides such as Hush Puppies and MacQroni. The counter-service, fine casual restaurant has locations in downtown LaGrange, downtown Naperville,Chicago's Lakeview neighborhood, Schererville, IN an Oak Park opening in March 2016. Q-BBQ offers beer and wine, take-out, and catering, and the Lakeview location offers delivery, plus retail sales of its four signature sauces. For more information, visit www.Q-BBQ.com, Facebook.com/EatQBBQ, or Twitter.com/EatQBBQ. What is Q? Watch Michael LaPidus "Papa Q" talk about our regional BBQ, awesome people, and what makes Q so very delicious!